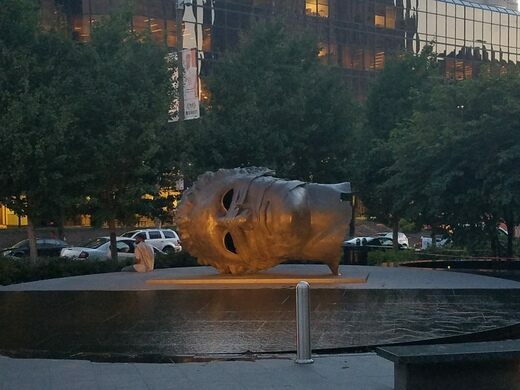 For most pedestrians, stumbling across a large decapitated head would be a cause for concern. 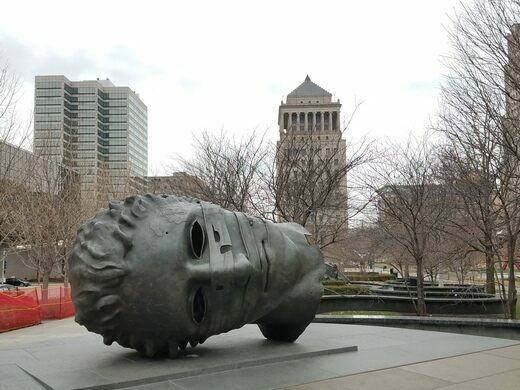 But for those passing through Citygarden in St. Louis, Missouri, the sight of a knocked-over noggin is part of a typical stroll through the park. Eros Bendato, a massive sculpture by artist Igor Mitoraj, is one of the many pieces of art scattered throughout the urban park. 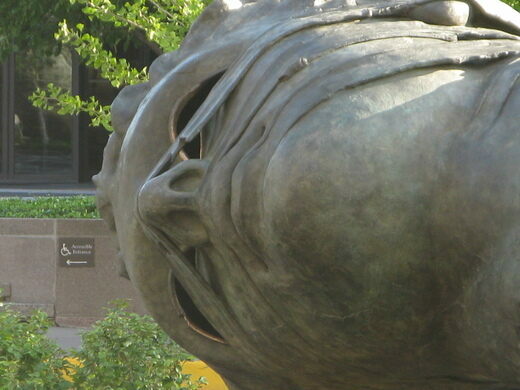 The head belongs to Eros, the Greek god of love and desire. It’s a bit of a startling sculpture. The hollow eyes look blankly ahead and give viewers a glimpse of the darkness inside. Bandages cover Eros’ face, symbolizing his imprisoned desires. According to some sources, they also represent opposing views as to whether civilization is broken beyond repair or if it’s being held together in spite of the world’s many destructive powers. 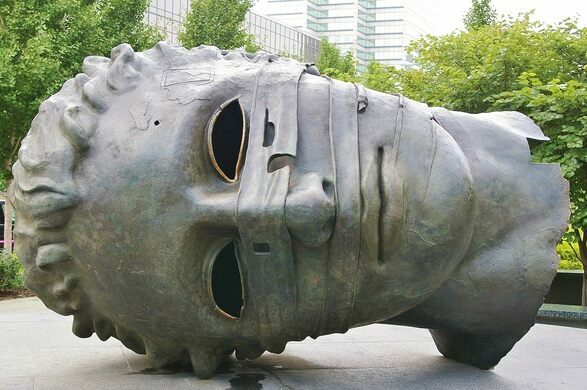 Yet despite its creepy look, people still stop to snap a picture or climb inside the huge toppled head. You may even see a person occasionally pop out of one of the empty eyes. Sometimes, families will use the sculpture as the background for a rather unconventional group photo. There’s a similar sculpture located in Kraków, Poland. It’s a fitting location, as Mitoraj, the sculptor, was a Polish native. 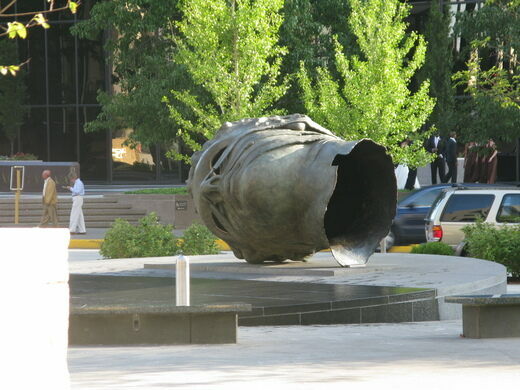 The sculpture is near the corner Market and North 8th Streets. It's within a massive park system in downtown St. Louis that contains many sculptures and fountains, as well as picturesque views within minutes of the Arch.